13 hours 41 minutes. 47.6 miles. 10,000 feet of climbing. I hate it when I’m right. 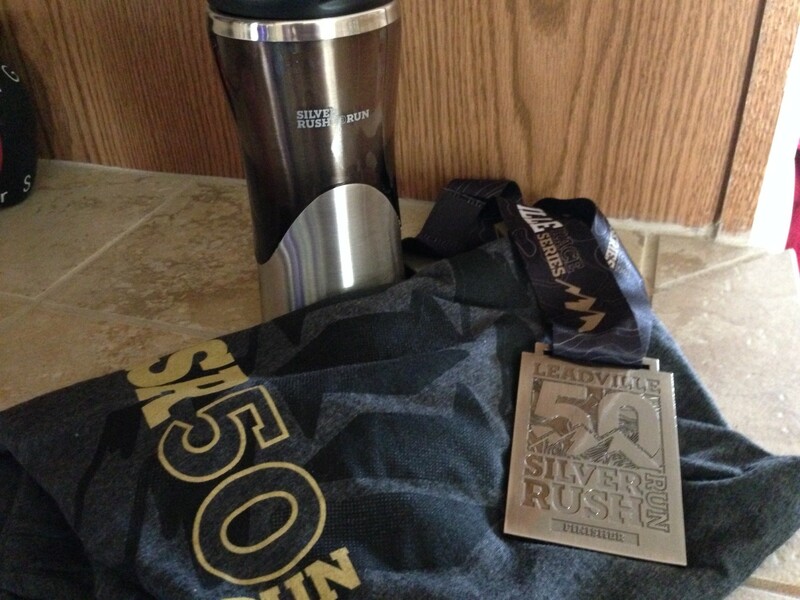 As I wrote before the race, I knew I wasn’t ready. With that being accepted, I showed up and decided to not let that be an excuse. I was excited to see many people at the starting line. Kirk, Barry, Mitch, Courtney, Jamie, Terry. Running is about connecting with people and nature. There is that whole pushing yourself farther than you think you can go as well. This time, I wouldn’t be carrying my phone with me. 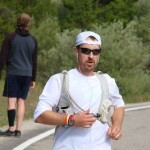 Sorry, no photos, but you can view my 2011, 2012, & 2013 recaps for photos of the race. The goal of the race was to see where I was fitness level. No distractions with a phone of taking photos or the ability to text/call for help. Focus on eating, drinking, and moving forward. Run when my brain says no. Work with the mountain, not trying to conquer it. Starting up the hill, that doesn’t even count as part of the race, all felt good. Laughs being shared while watching a couple people sprint up the hill. All was well and I felt great. I knew from past years to get ahead before the first descent or I’d get stuck walking in line. Success and I was running. Not a whole lot happened before the first aid station at mile 7. I kept running and felt great! Even got in 200 calories plus a bottle of water. That’s good stuff. Climb time. 3 miles going up. It seems around mile 11,000 feet of elevation is where my breathing started to take notice. Intermittent running along the way, things were still better than I expected. At the top of the climb, it was a 3 mile jog down. Started to feel some uncomfortableness in the stomach, but was keeping up on S! Caps and water. Calories were going okay. Made it into Printer Boy (mile 13.5) in good time. Refilled water bottles, grabbed some chips, and off down the hill for a mile. Then more climbing for about 5 miles. This is when things started getting rough. At times, I had to stop and catch my breath. No physical pain anywhere, just a really high heart rate. I’ll run on a strained muscle and maybe even a broken bone, but when heart rate takes off at top speed, I slow down. Coming into the aid station, lady filled my bottle and asked how I was doing. Me: Feeling pretty dizzy and nauseous. Volunteer: Are you alright? You want to talk to the doc? Me: Nah. 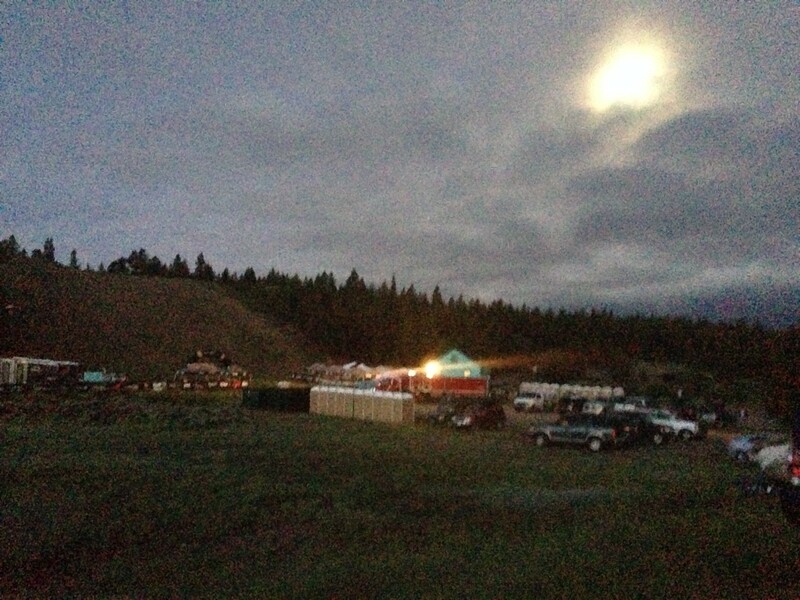 This is normal for a Leadville race. And off I went to the table for my buffet of Coke, chips, pretzels, and a banana. First time ever eating a banana during a race. No bad reaction there. Climbing Ball Mountain. If there was an aid station here, there may have been a high chance of me dropping from the race. Steep, slow moving, and hard to breathe. Crappy feeling. Say a prayer and accept the situation for what it is. I know it will change. Standing at the top of that mountain, it did. As I started to do a little trot down from the top, things got much better. High-fived some friends that were on their way back and followed the path to the turnaround. I came into Stumptown feeling dizzy and nauseous … still convinced it was dehydration. At this aid station you have to do a little loop that includes a hill with about 10% incline. Upon entering the aid station, I saw Jamie behind the table bent in half. That looked like exhaustion/dehydration. I understood. I made my way over to him and asked what was going on. He wasn’t keeping food down, another sign of dehydration, and was having a low moment. Me: Let’s grab some water and walk on. J: I don’t know man. We have Ball Mountain ahead. Me: We’ll just take it one chunk at a time. Ken: Son, I’m going to tell you what I would tell my son: stop being a wimp and get moving. If you can’t finish this race, no need to come back next month for the 100. Jamie stood up and said well looks like we’re going on. 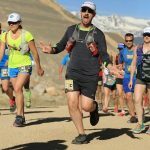 As we headed out of the aid station I started telling every joke and funny story I could think of. It is amazing the power laughter can have to improve a situation. We did some climbing and at a flat decline we tossed in some jogging. Next thing you knew, we were catching up and passing people. The climb up Ball was hard, but not as hard as I remembered. Maybe it was because we were taking one switchback at a time and not pushing it. Constant motion. I was pretty excited and Jamie reminded me there were plenty of false hopes around each switchback. Didn’t care. This was the last really hard climb. Okay, that was probably dumb to say when there’s another 20 miles to go. Made it to the top and stumbled down the decent a bit and then picked up the pace. This was probably the first time I noticed something physically hurting. My feet hurt like hell. Each step was shot to the bottom of my feet. Legs were mad, but I knew how to run around that. Sore feet running across rocky pavement on the other hand, not as easy. Making the last 12,000 foot climb I blew up. I tried to take a bite of food and gag reflex went into effect. Nothing was going in because body was too zapped of fluids. Jamie went on ahead and I stopped to dry-heave. Slow climb and high wind. Made it to the top and put on a jacket to help combat the wind. I rolled down into Rock Garden aid station to devour some chips. Washed it down with Coke. Repeat. Bottles were refilled with water and did my best to run downhill. It was a battle with my body. My stomach was not doing so well so the pounding was making it challenging to run. Mentally though, I said run because gravity was on my side. What was throwing me was that I was passing people. I’d catch up to them, chat for a bit, and then say I’m just going to jog down this hill. Then I’d keep going. Pounding water as much as I could, but not knowing not too much or that could upset the stomach on the descents. Coming into Printer Boy aid station, all I could think about was the long slow climb ahead. I knew that I would be climbing that thing for over an hour so was trying to mentally prepare myself. Ate more chips, filled water bottles, and got doused in bug spray. It was like there was the same army of bugs hunting me down. Nothing exciting here on this long climb, except a little jogging where it was perceivable flat. That means it wasn’t flat, but compared to the rest of the mountain it could be considered to be. Sometimes if you only look 3 feet ahead, it seemed flat. I knew that making it to the top I wouldn’t want to run down the hill. That gave me time to start preparing myself to run down the hill. My feet were really hurting and to make matters more difficult, there was a lot of tip-toeing around streams going down the trail. There were some really muddy parts and I didn’t want to be the guy covered in mud. Plus, that would add extra weight I didn’t need. No Muddy Buddy adventure racing today please. Accidentally, I submerged my foot into water at one point. This was the best mistake I made all day! While you’re supposed to keep your feet dry, soaking my feet in the water numbed them just enough to allow for more running. New game plan … step in the middle of every body of water I could to keep running! Last aid station, I plopped myself down on a bucket at the end of the table where the large bowl of chips were. Handful after handful, like a 2 year old, I shoved chips into my mouth. I could feel life coming back into me. Volunteer: What tunes are you listening to? Me: Fight for Your Right by AC/DC. Wait. That’s by Beastie Boys. Inside Voice: Shut up Alex or they’re going to realize how much you’ve lost it. I started catching more people. Caught up with 4 guys that I had ran into 10 miles ago. They said it was 6 miles to go and there was 90 minutes left on the clock so they were going to walk it in. I told them to re-check their math and that I was going to run down the hills. Pain in feet had started to come back so did a run/walk combo. Kept saying the prayers each time I started running. I was getting help from above. The finish area is always a little misleading. You hear the announcer talking, but are still a couple miles away. Then you ascend the hill you came down on the way out, but at the top, the course takes you to the right on a loop. It leads to the other side where one last 50 foot hill awaits. After that, it’s all downhill. Seriously steep decline of a hill that you want to take it easy down. The legs are already shot so one slip on this would be a hard swan dive. Me: I need water and food. Medic: Yes, but how are you doing? Me: I’m dehydrated and hungry. I need water and food. Sometimes I’m just too efficient getting to the solution. 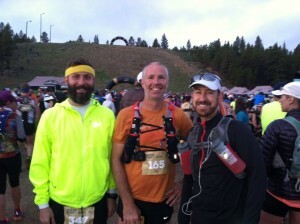 Another great race with lessons learned. I was expecting torrential rains and what I received was one hell of a sunburn on my face, back of knees, and arms. Weather was pleasant. Race staff is clearly working hard this year to provide a great experience for all runners. There was not one aid station that ran out of food and as usual, every volunteer was above par. Kudos to the event staff for focusing on each runner and taking care of them. I noticed at the marathon as well, or maybe it’s just me, that there were not many race photographers. No photos captured of me that I can find from the marathon and this is the year that I was interested in purchasing. 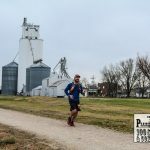 Hoping to see more of them out on the course for the 100 mile run. 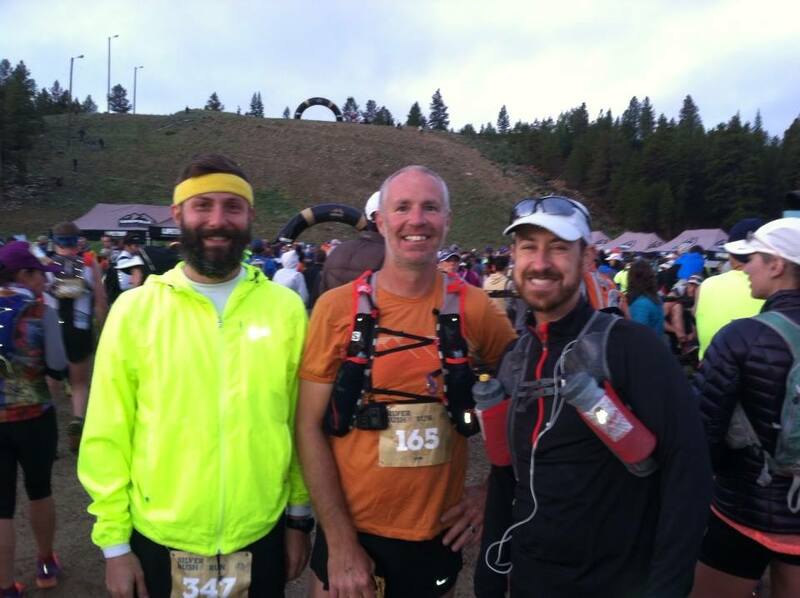 Yes, up next, the Leadville 100 Mile Trail Run. Ready for the experience.